NEW YORK (WABC) -- After giving the gift of life as a organ donor last year, one donor is receiving a special thank-you from the family. 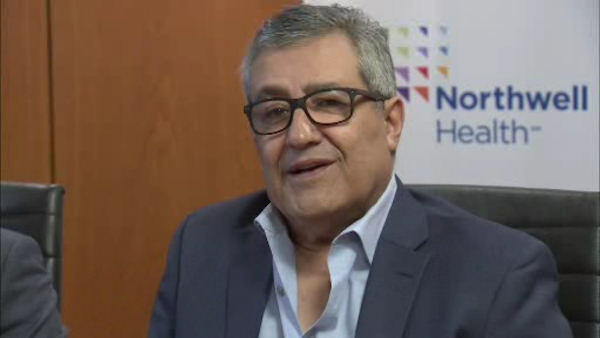 Albert Gabay and his family thought they'd only be speaking virtually to the woman who gave Albert a brand new kidney. But to his surprise, Jennifer Wolfe traveled all the way from Georgia to wish Gabay a Happy Chanukah in person. "I gained a family that I absolutely love," Wolfe said. "I miss them greatly...I get to see them maybe once a year." The journey began several years ago when Gabay was in end-stage kidney failure and desperately in need of a kidney transplant. Gabay's extremely rare blood type further complicated the transplant process. His children took to social media to find a donor. "When something like that happens to your loved one," Gabay's children said, "especially your father, you gotta throw your pride out the door, whatever it takes that's what we did." Finally, they found Wolfe as a match after posting a letter on the website matchingdonors.com. The transplant took place on June 3, 2015 in Manhasset, Long Island. And in the same spirit of giving, Gabay is trying to repay the gift. He made it onto a reality show with a chance to win his "hero" her very own home. "When Brian told me there was a possibility he could win me a home," Wolfe said, "I was in disbelief." Two families are now bonded forever.